The classic cyberpunk RPG joins the ranks of other Square Enix properties. 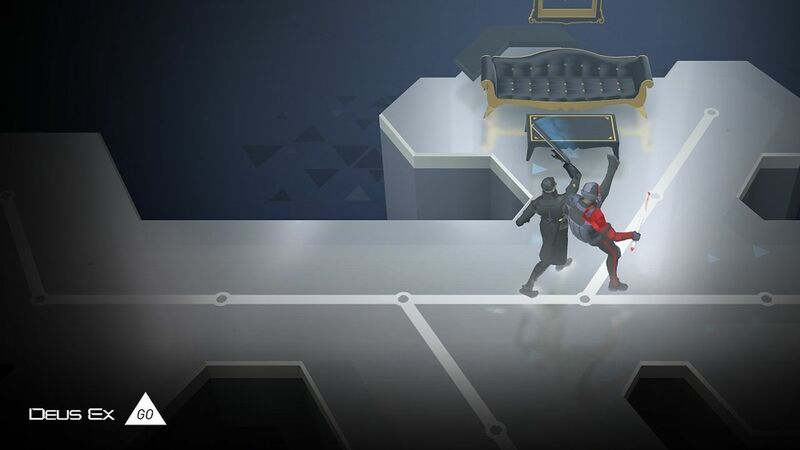 Following in the footsteps of Hitman Go and Lara Croft GO before it is the newly-announced Deus Ex Go from Square Enix Montreal. Revealed today during the special Deus Ex livestream event from Square Enix today, the game is scheduled for a summer release for mobile devices. Hey, look! It's summer right now! Take up the mantle of Adam Jensen once more to solve some of the "most challenging" puzzles seen across the Deus Ex series to date, with hacking, combat and augmentations to spice things up. Think Deus Ex, simplified into one very unique board game-styled adventure. "With Deus Ex Go, we really want to take the Go series to another level," Square Enix Montreal studio head Patrick Naud said in a statement. "Building on the learnings of Hitman Go and Lara Croft Go, our goal is to push the experience a step further in terms of visual treatment and game design in order to bring you a fresh, reimagined puzzle experience that celebrates the franchise." But the fact that the game actually exists shouldn't come as a surprise. What should is the fact that this entry in the Go franchise will get a puzzle-making tool shortly after launch that players can utilize to make their own puzzles and share online. And considering the sadists who made their own Super Mario Maker levels, I'm sure there'll be a ton of weirdness populating the servers soon enough after release for the app to be well worth your time.